1. Plug & play operations ------ No start up time (1 Hr) required. 2. No gas required------ Advanced membrane conductivity technology ------ Far from safety of maintaining gases in such a controlled environment. 3. No periodical calibration required.----Our system Calibration last for 12 months. 4. No catalyst required, no combustion tubes required, hence no regular follow-up for suppliers to maintain stock. 6. Very less power consumption & less maintenance cost (Zero for 1st year). 7. (Optional) DataGuard:- 21 CFR Part 11 Complaint---- Meets all guidelines. 8. (Optional) Raw Sample conductivity as per USP<645>. 9. Using by all reputed organisations like Sandoz, Lupin, Mylan, Wockhardt, Perrigo, DRL, Unichem labs, Cipla, indoco remedies with more than 800 installations in India etc. Applications: 1. TOC analysis in PW & WFI as per USP 643, EP 2.2.44, JP 2.59, CP, IP, WHO etc (Limit : 500PPB) 2. TOC extraction monitoring in package material as per USP 661.1 & 661.2. (Limit : 5PPM & 8PPM) 3. Best non-specific tool for cleaning validation samples to reduce production down time. 4. Online/Offline samples can be analysed. 5. 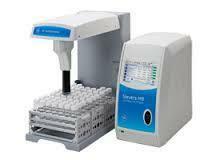 At line sample analysis i.e carry the instrument to point of use TOC analysis. GE Technology- UV - Membrane conductivity: M9 - Main Highlights : Range: 0.03- 50000 PPB Regulatory complies with Cleaning validation method development , USP , , , , EP, JP, CP, IP, WHO. Application: PW, WFI & Cleaning validation samples, Packaging material TOC monitoring. Patented technology: UV/Persulfate- Membrane Conductivity. Very high energy efficient & no hidden cost like very high power consumption. 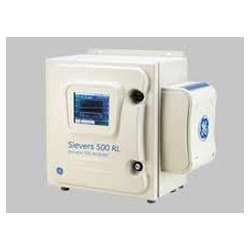 No external utilities required for sample analysis apart from power supply. Just plug & play operations, start-up time: . (Optional) Performance Qualification with Traceable standards can done as per USP . Calibration stable for 12 months. More reliable, accurate analyser for TOC , hence all semiconductor industries use GE only where carbon will measure in PPT. This technology is using by NASA space shuttle since 15 years. Looking for TOC ANALYZER ?